Approximate weight per package: 0.85 Lb. Each package contains 1 steak. 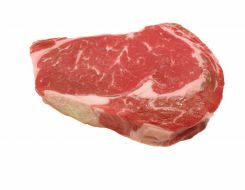 Velvety texture, robust flavor, and extra juiciness are hallmarks of the rib steak.